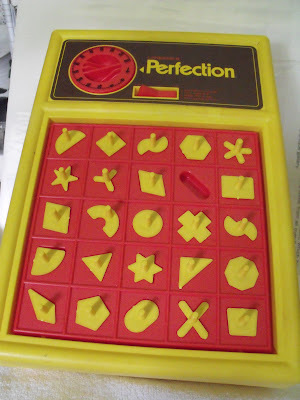 Perfection was a game where you put the shaped game pieces into their matching slots on the game board before a one minute timer expires and the board ejects everything. If you can complete it, you can stop the timer. If you couldn't, you were left picking up game pieces everywhere for 10 minutes. Superfection had a two minute timer and puzzle piece blocks.. Somehow, I could never complete either of them before timer blew everything up. 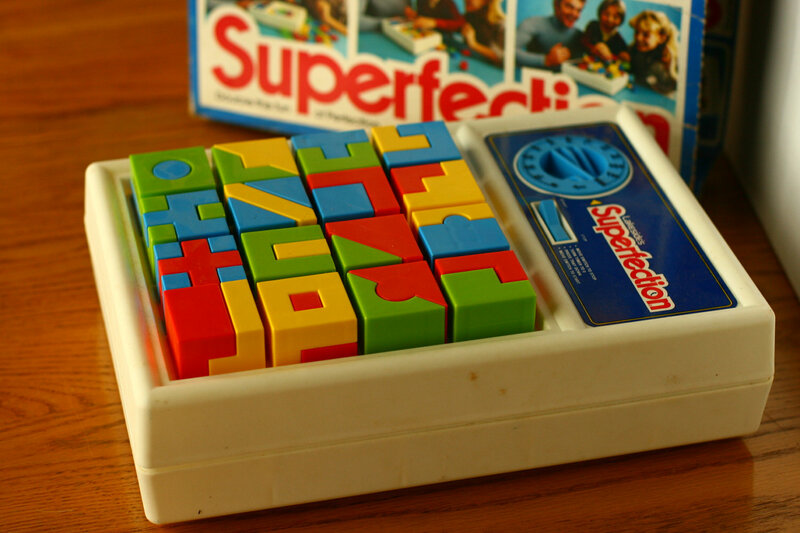 The original commercial for Perfection had one of the best "jingles" ever. Basically the entire commercial was one long sung jingle outlining the directions on how to play the game. So good was the music and vocal group that even in areas without a rhyming scheme, it was VERY catchy! I wanted this game in the worst way, but we never got it!